When the Riga Central Market was first unveiled in 1930 it was the largest and most technologically advanced market in Europe. 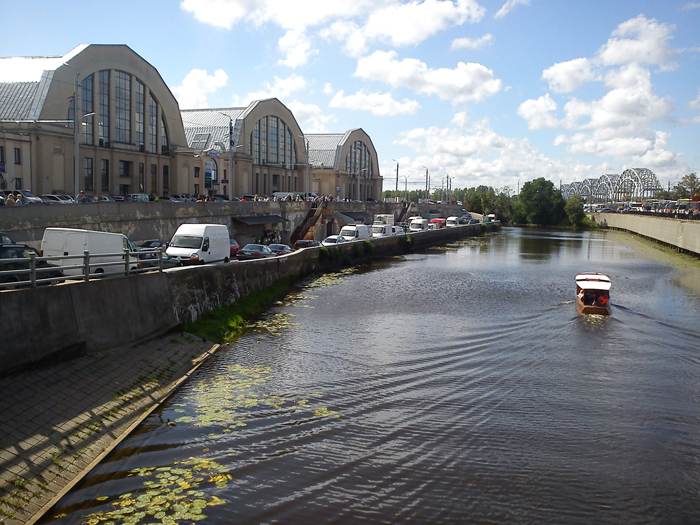 Equipped with modern refrigeration units, cargo lifts and underground passageways and warehouses, the five pavilions were an engineering marvel that quickly became an attraction for foreign visitors and Riga’s residents alike. 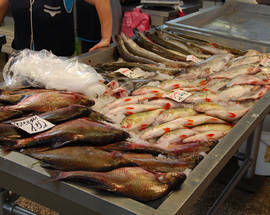 A market had existed a short distance away near the river since the 16th century, but conditions were considered too unsanitary for a 20th-century Latvia that had recently risen from the ashes of WWI. 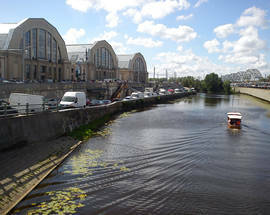 This temple of modernity and commerce represented what Riga could achieve as the capital of a new and independent state. 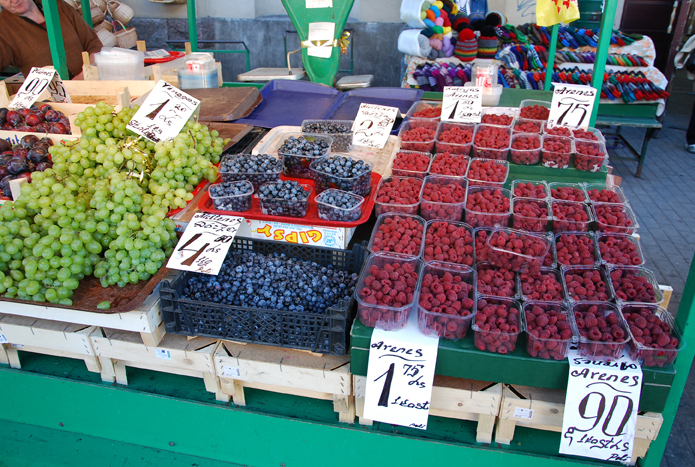 And unlike the old market where only servants and farmers mingled, the new market attracted wealthy citizens who no longer had to contend with the raucous atmosphere of the old Daugavmalas market. 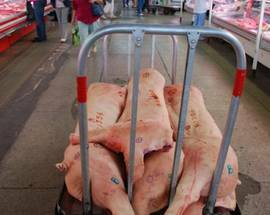 It became acceptable, even trendy, to visit such a modern and civilised market and government ministers and captains of industry were often spotted strolling about its pavilions. But the market nearly remained a lofty project on the drawing board of history. The idea of creating a new market was discussed as early as 1910, but WWI put all plans for progress on hold. When the project was finally approved in 1922, the new nation of Latvia faced dire economic times and although work began in earnest in 1924 only two years later construction ground to a halt due to political intrigue and a lack of funds. Thankfully, the builders and masons returned to work again in 1928 finishing the massive endeavour in 1930. Money was saved by using the enormous metal zeppelin hangars left by the German army after the war in the town of Vaiņode. The metal hangars were in fact so large that only the top portions were used as a skeleton for the market pavilions. All in all, 6 million bricks and nearly 2,500 tonnes of iron were used to build the colossal market, not to mention 60,000 barrels of cement. 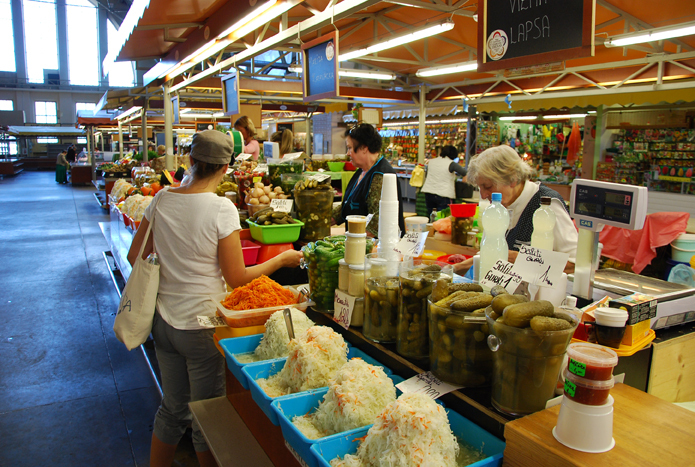 The market has also been improved, expanded and renovated over the years, but the five original pavilions look much as they did all those many decades ago and today a visit to the market is just as fascinating as it was when it opened. Stroll around its grounds and take in the sights, sounds and smells of this architectural wonder, but bear in mind that many of the colourful characters who work here don’t appreciate being photographed, so be discrete. That said, they’ll be happy to offer you a taste of cheese or a sweet berry in the hope that you’ll spend some cash at their stall. 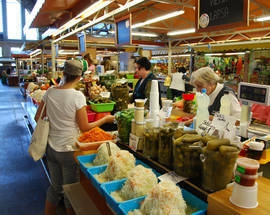 Here are some of our favourite things to see and taste at the market. 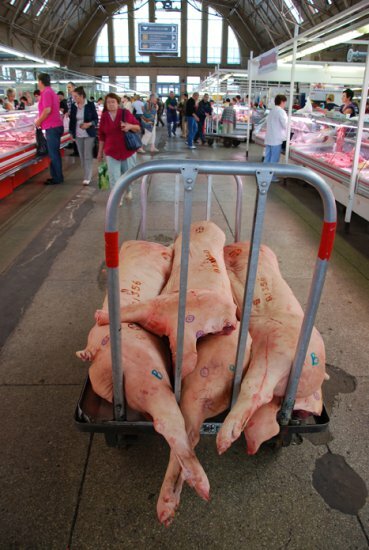 Although it’s a good place to buy a fresh duck or pork chops, the meat pavilion is also a great place to gawk at some unusual sights like whole pigs’ heads (or just their snouts), giant beef tongues and hearts as well as pigs’ intestines and kidneys. 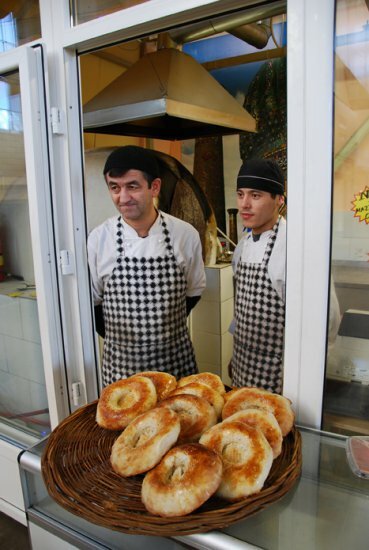 The sight of burly men hauling slaughtered animals on their shoulders or wielding giant meat cleavers is reason enough to drop by, but it also has a few bistros and an Ilģuciems stand selling tasty local beer and kvass. For an authentic taste of Latvia, buy some smoked chicken at the Rubeņi stall. A cash machine is available at the entrance. Open 07:00 - 18:00. After a lengthy renovation, this pavilion is once again open for business. 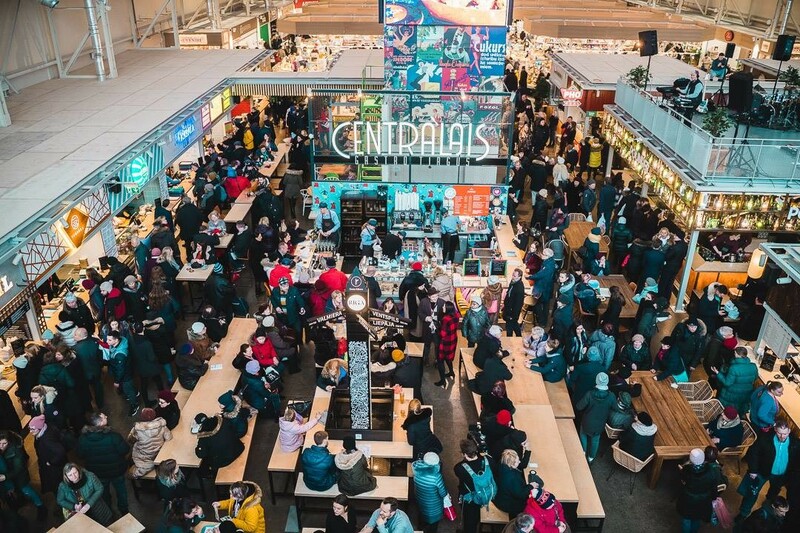 Half of the space is now set aside for vendors selling dairy products like cheese, sour cream, buttermilk and the like as well as bread and baked goods, while the other half is now home to a trendy food court that has quickly become a popular Riga hangout, both day and night. 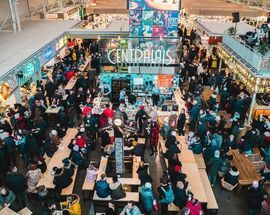 In the tradition of similar establishments such as London’s Borough Market or Amsterdam’s Foodhallen, it specialises in street food from around the world as well as bars selling everything from cocktails to craft brews. Although open every day, Centrālais becomes one of the city’s best nightlife hotspots on Friday and Saturday nights when DJs set the mood for a lively party dedicated to food and drink. You’ll find anything from gourmet burgers, artisan pizza and fish tacos to lobster rolls, poke bowls and sushi. This pavilion has experienced major changes in recent years and despite its pungent smell has been set aside by the market as an experimental international zone where tourists might feel more at home. Buy squash, pumpkins, cucumbers and other seasonal produce here, but bear in mind that the acrid aroma isn't the result of poor hygiene or faulty sewerage systems. It’s simply the bouquet of shredded marinated cabbage displayed in huge heaps or large vinegar-soaked gherkins swimming in big glass bowls. 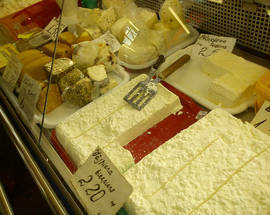 You can buy imported Dutch cheeses at Siera karaļi or purchase some olives and jamón serrano ham at the Spanish stall. A bistro selling Slavic-style meat dumplings and a proper restaurant called Taverna Pumpkin will satisfy any hunger pangs you might have, but if you're looking for a drink then try Labietis, a Riga craft brewery that serves a number of unique beers, or the more traditional Iļģuciems stand in the corner that also serves honey beers. 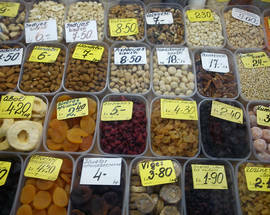 Finally, the pavilion is also a good place to buy dried herbal teas and the Uzbek stand sells all kinds of nuts and dried fruits including hard-to-find apricot kernels, a popular Central Asian snack. Open 08:00 - 18:00. 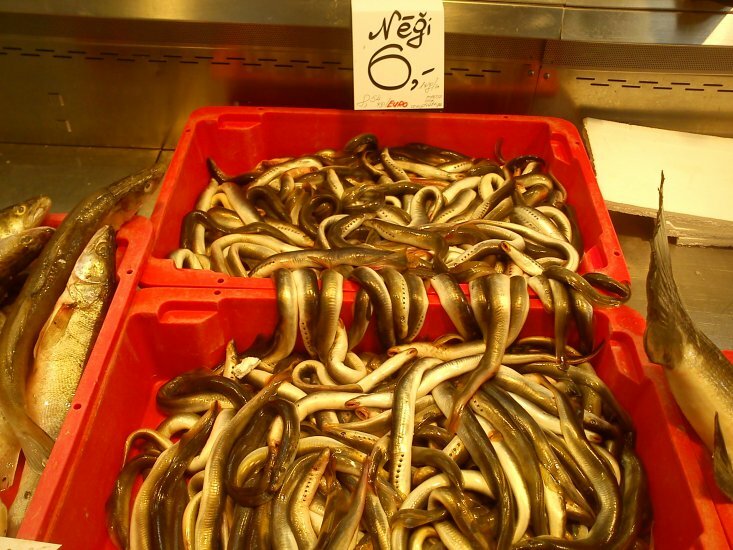 Although the fish pavilion is a far cry from many seafood markets found in port cities, it does offer a good selection of local delicacies like eels and lampreys as well as smoked flounder, live carp and marinated herring. Many of the poor devils on display writhe around on beds of crushed ice or slowly move their mouths contemplating how they got into this mess. 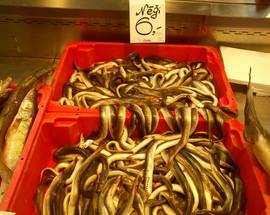 More exotic creatures like squid and prawns can be bought thawed or frozen. 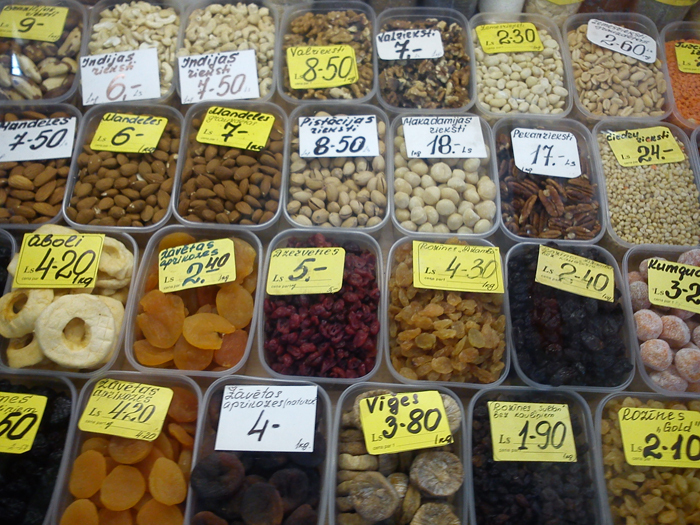 The pavilion is also home to a Rižskij Samogon stand selling a traditional honey-based moonshine. Open 08:00 - 18:00. 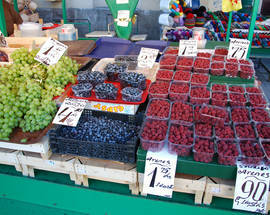 A number of good restaurants can be found at the market (see venues below). 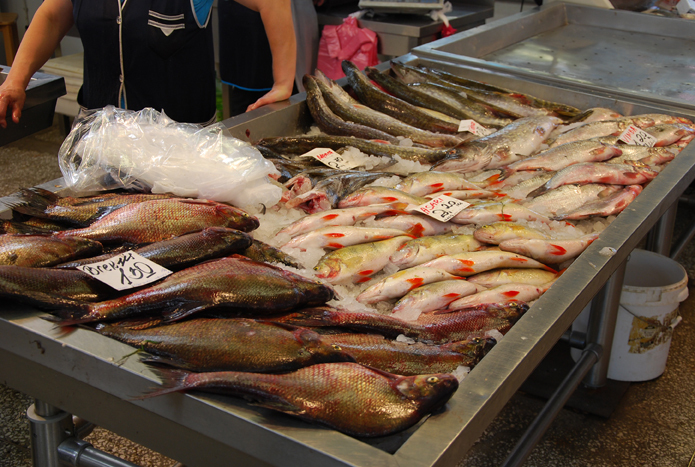 Proper toilets are available for a small fee of €0.30 in the small hall between the fish and vegetable pavilions and for free at the Centrālais food court. 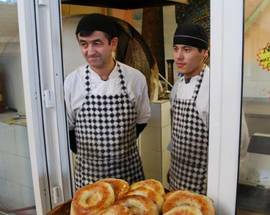 You can also buy freshly baked Uzbek non (bread) nearby, but be prepared to queue up. Naturally, there are hundreds of stalls and kiosks beyond the pavilions that sell everything from flowers and fresh produce to faux leather jackets, furry hats and lots of shoddy clothing. 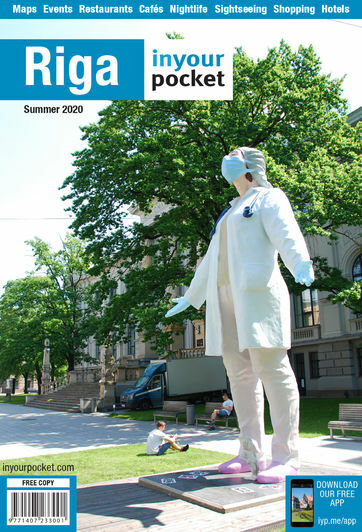 For more information in English about one of Riga’s best year-round attractions visit www.centraltirgus.lv.